This is one of the best memoirs I've ever read. A stunning memoir, grippingly told by Jeannette Walls. 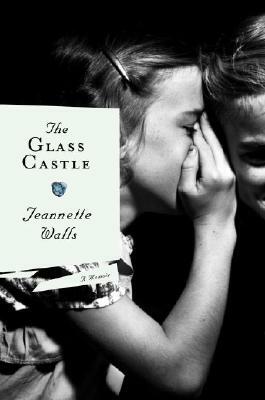 In The Glass Castle, Jeannette Walls tells her story of growing up in a dysfunctional family with two eccentric, irresponsible, nomadic parents. Rex Wall, the father, was an uneducated but an ingenious inventor and adventurer and could have done pretty well for himself and his family had he not been a hopeless alcoholic. The children were not being raised, they were raising themselves. Constantly moving about, they lived in degrading poverty, where they ate through trashcans for food in school and painted their skin so that the holes in their pants didn't show. They are used to doing the skedaddle in the middle of the night, with their parents telling them they are looking for another adventure, or in many cases running away from authorities. They set up camp at night in the desert floor, or in an abandoned hovel and if lucky sleeps in cardboard boxes. When they finally moved to a house in Welsh, the house was dilapidated with no electricity, leaking roofs and wood stairs that would crumble any moment. What is so astonishing about Jeannette Walls is not just that she had the guts and intelligence to get out, but that she describes her parents with such deep affection and generosity. She does not judge or complain and she is not angry, although she has all the right to be. She just retells the adventures she had been through, describing all the interesting people and incidents she could recall. If you have not read this book, this should be in your list. It's a highly recommended read. Next on my list is her other memoir 'Half Broke Horses'.